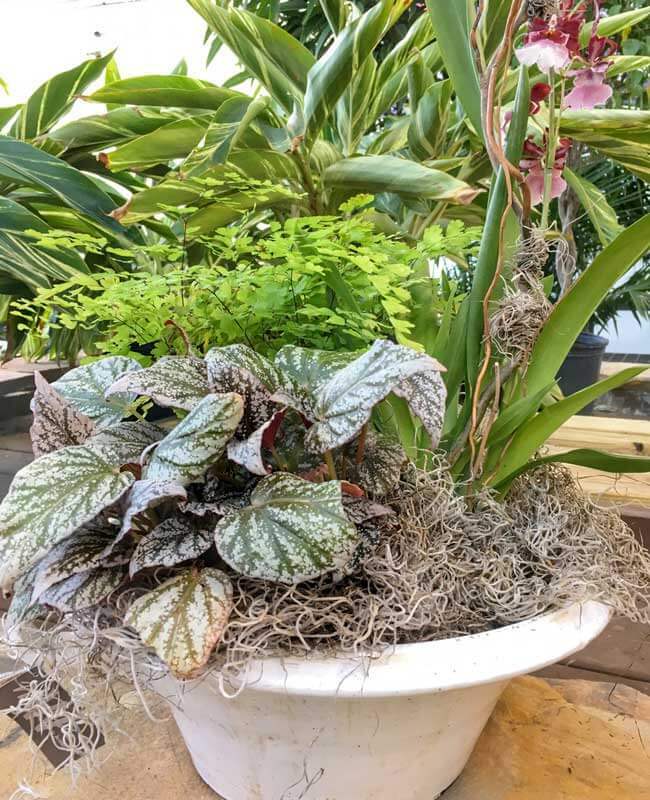 There is a good deal of information online and in books concerning plant composition in the outdoor garden, but less so on how to arrange indoor plants with design and purpose. 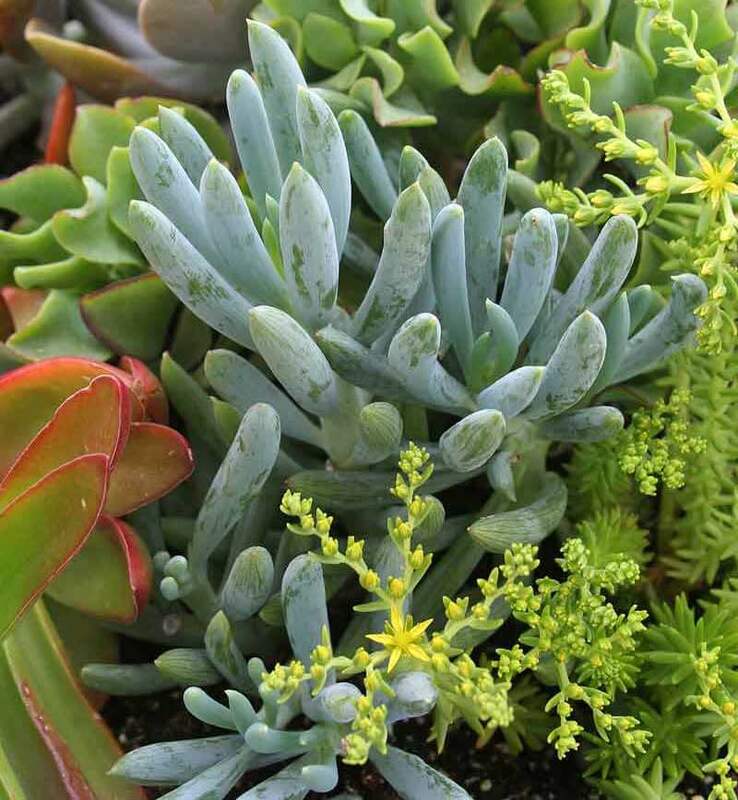 Integrating plants into the décor of your home can add a tremendous amount of beauty and ambiance. 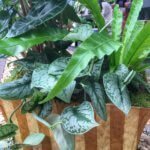 Selecting the right plant for the right place in your home is of the utmost importance before an arrangement can be considered. After that, you want to consider color, texture, and height when arranging indoor plants. Here are the various design elements and planting ideas for three typical rooms and situations you may have in your home. Color: Choose colors that blend with or contrast with the colors of your home. Contrasting colors create a bold, dramatic look. Supplementary colors create harmony. 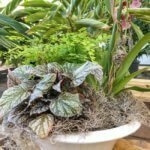 Since most houseplants have a short bloom window, the color of foliage is an important consideration. Texture: Choose contrasting textures for interest, especially if leaf color is similar. When leaf color is contrasting, similar textures may be a better choice. Height: Use various heights in your arrangement to create depth. Placing individual plants on furniture of varying heights can also create this effect. Another option is to hang plants from your ceiling at different heights. Repetition: Use the same plant in various rooms to create a feeling of calm and familiarity. Containers: The container can have a tremendous effect on your arrangement. A brightly colored container can be used to make your arrangement a focal point in the room. A simple container can let the plants and blooms make the statement. Use colors that complement or contrast with your container for the effect you are seeking. Don’t forget to consider the style of your home when selecting your container—is it classical, country, modern? Select a container style that matches. 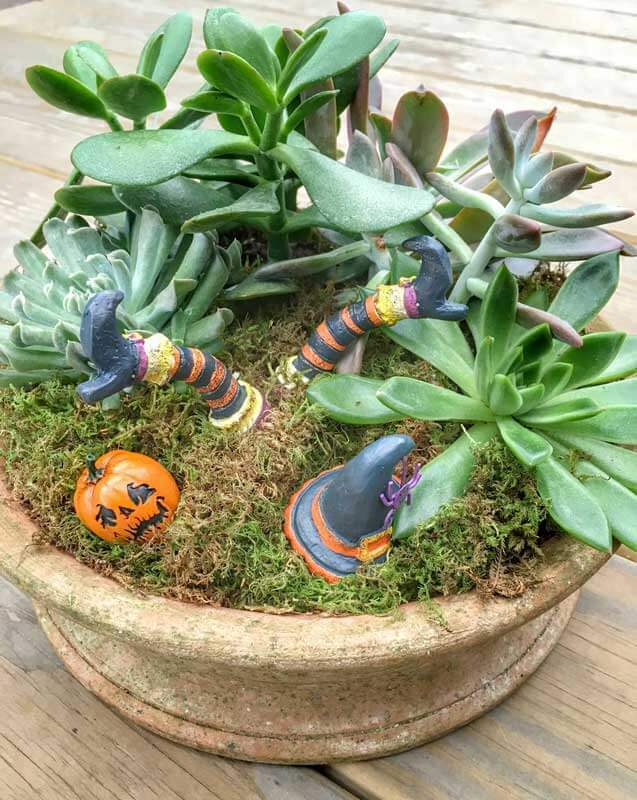 This arrangement combines succulents and cacti to create a low maintenance but very colorful bowl. Various colors and textures along with different heights are combined to create a contrasting and dramatic effect. 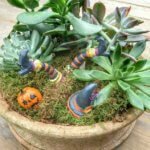 Try including fairy garden figurines to add some seasonal interest. Other plants for bright, dry locations are the ponytail palm and jade plant. Philodendron is mainstay as an indoor plant. It tolerates low light, and needs to dry out between waterings. If you have a spot near your heater without a lot of light, philodendron is a good choice. 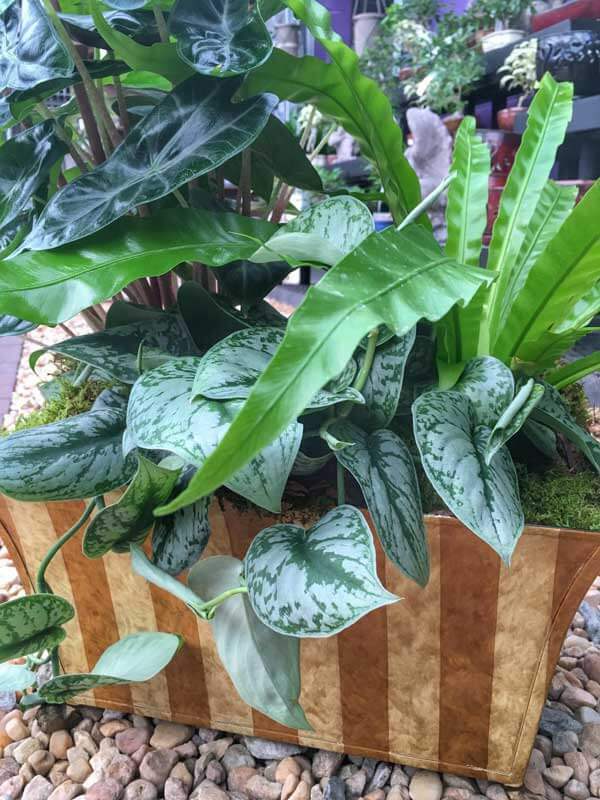 Silver Satin philodendron has striking green and silver variegated leaves and is a vine variety. It pairs great with the lime green, elongated foliage of bird’s nest fern. White-veined African mask plant adds height and drama. Other plants for the living room are peace lily and Dracaena ‘Janet Craig Compacta’.